A friend posted that she was going to be logging what she's Thankful for for the next 30 days and I thought that was a wonderful idea! 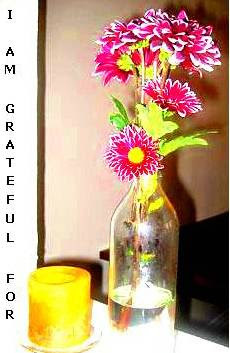 I have soooo much to be Grateful for and I give my Thanks via prayer at least twice per day. Here I will post about what I'm Thankful for once a day for the month, big or small. -My beautiful, silly, funny, smart, amazing, quirky, sweet, genuine daughter! -My kind hearted, deep thinking, amazingly creative, silly husband! -The furs and their crazy antics. They can be super sweet one moment and then complete lunatics the next. Such as life! -My home. A house is nice, but a home is even better. There's nothing like walking in through that door. It's so filled with love and coziness and I'm grateful for that. -I am extremely grateful that my families needs are all met. I appreciate every blessing that comes our way.